The Villa Garden landscape project for my clients, the Grinbaum family of Calabasas, California is forging ahead at a great pace. One of the design elements, the new patio off of the formal dining room is almost complete. Before: This paved pass-through area is the future site for an open-beam patio. In order to make this area more accessible, a double french door will replace the large window on the right to provide access to the site from the formal dining room. We are calling this the "sunset" garden patio because of its orientation to the west. Design Tip: Create new useful areas in your yard by replacing windows with doors. Most people avoid using patios that don't have direct access from the house. All of the pavers in this area were carefully removed and stored in a safe place for later use. Although we are introducing flagstone as a flooring element in other parts of the yard, we decided to reuse the pavers in the patio areas and acid stain them a more "earthy" color to compliment the natural stone. Design Tip: Setting pavers in a sand base instead of a concrete pad eliminates excess water runoff as the water is absorbed into the ground. 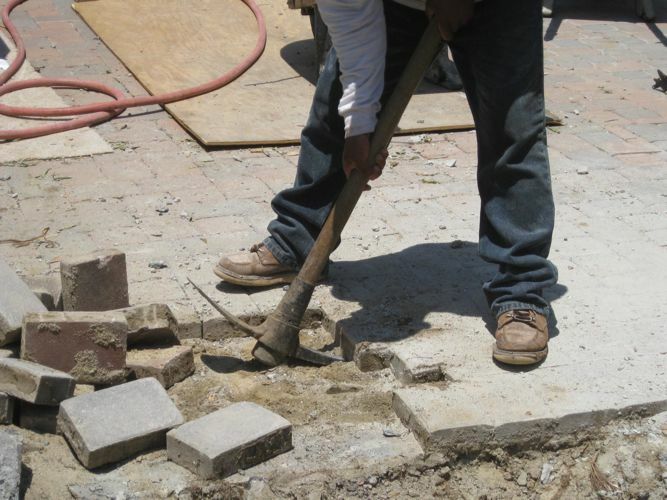 There are many styles and colors of pavers to choose from. 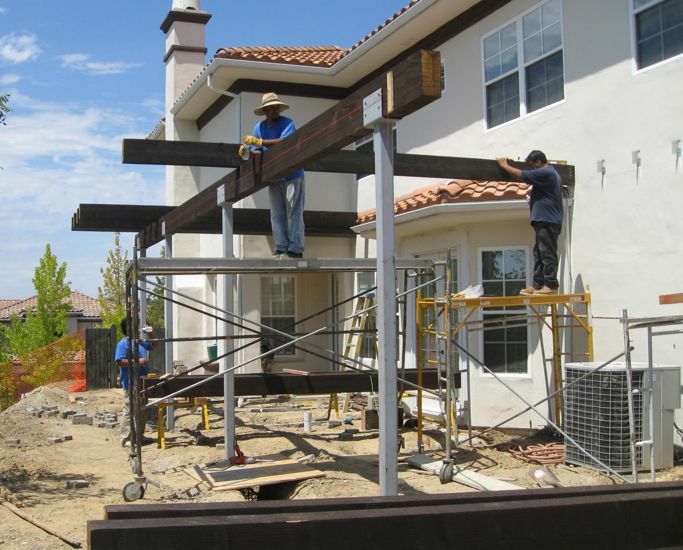 The 4" inch by 4" inch steel columns help carry the load of the patio wood beams.
. Much of the work involved in creating patios is underneath the ground where no one will ever see it, except the workers and inspectors! Once the foundation is in, construction moves quickly. The steel columns will be wrapped with hollow, stone textured columns to give the design a finished look and tie it to the architecture of the house. Design Tip: Structural steel posts have the advantage over wood because of reduced maintenance, durability and strength. They can be painted and used "as is" but look better wrapped with a wood veneer or column depending on your architectural style. Charlie, of Charlie's Construction provided a few different stain color samples for us to review. It is a good idea to create a side by side color sample on the wood that will be used so you get a true color saturation reading. Can you guess which color we chose? 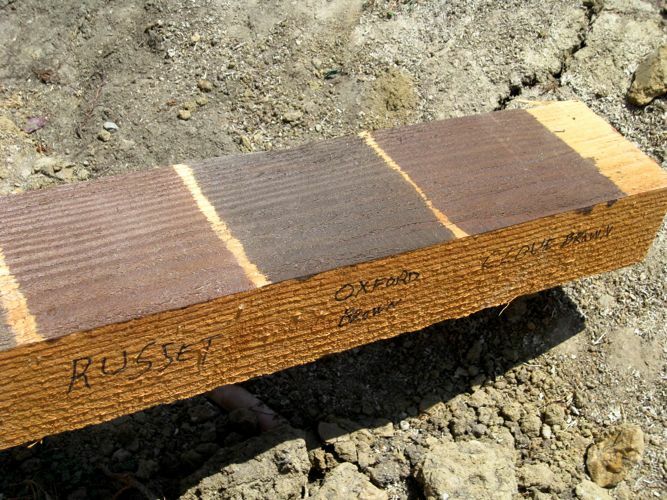 Design Tip: Always use outdoor grade lumber for patio construction like this Douglas Fir beam. Wood stains range from clear to opaque and in-between. Milk paint is also an option if you are looking for an eco- friendly alternative. Traditional paint offers more color variety, but requires more upkeep due to paint chipping. 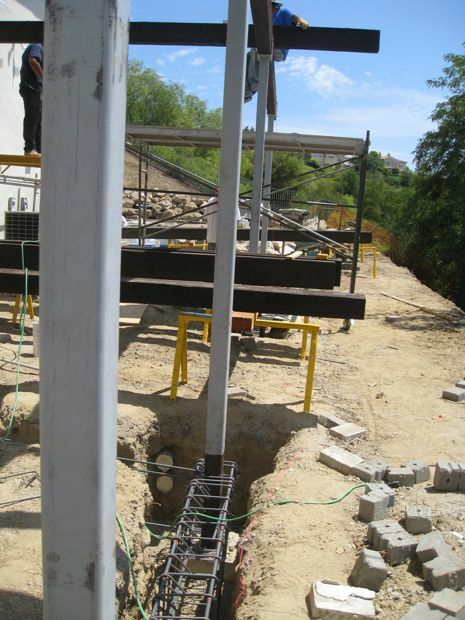 The 6" by 12" inch header goes up first, followed by the smaller, 6" by 10" inch beams. This labor intensive work requires care and should only be preformed by licensed and bonded contractors. The patio beams are up and we're now chalking out the patio edges and walkway areas. 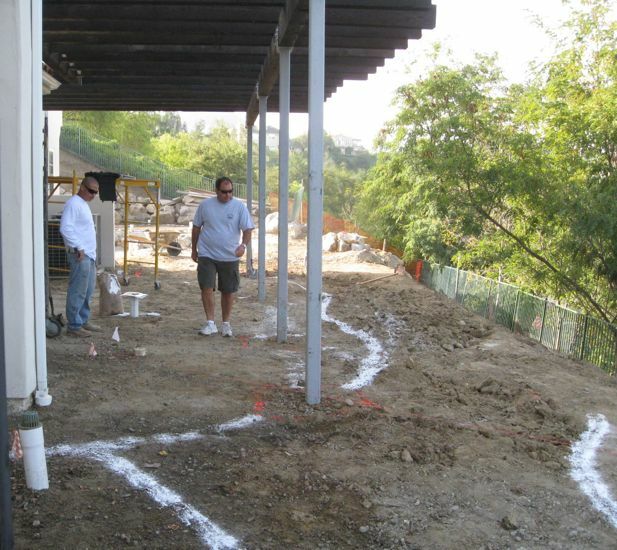 Homeowner Joe Grinbaum (right), walks the future patio area as project foreman for Southern California Landscape, Eddy Martinez looks on. Once the perimeter area is confirmed, an edging will be installed and soil dug out to make room for a sand base and the pavers. The Grinbaum's are almost ready to party in this once-neglected and unused area. Design Tip: It is helpful to have your outdoor furniture selected before patio completion so you can set it out and make sure you have comfortable traffic space and ample patio area. View of the new patio from bottom of the hill. You can see the boulder retaining walls we built to support the area that was built up to expand the patio area. After- A mediterranean garden flourishes along the perimeter of the generous-sized patio! 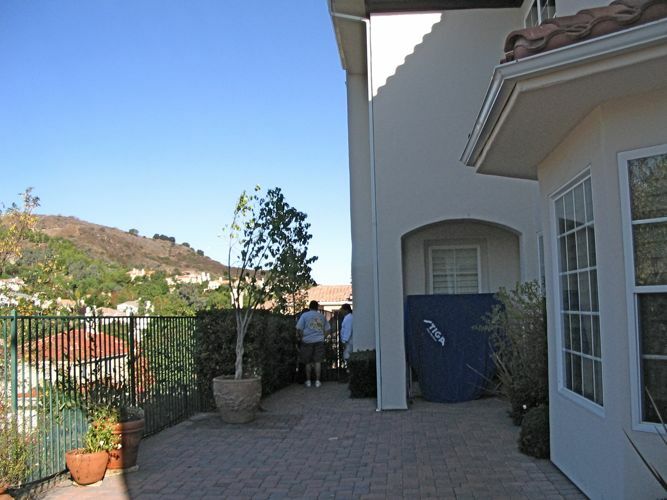 After- Potted plants and strategically placed furniture are employed as "space dividers" in the long patio. Long patios benefit from "space planning" and the creation of a series of smaller intimate areas. After- The patio is nestled within a fragrant and cheerful garden, full of Mediterranean plants, Citrus trees and colorful vines. Visit us again at EdenMaker.TV for more "nosey neighbor" updates on the building of "Villa Gardens." Great article Shirley. I love the way you approach each project. Thanks! A nicely constructed landscape project like this not only looks good – but lasts. In our area – Portland – it is enjoyable to drive through older neighborhoods where projects from decades past remain as aesthetic accents. Hi there. As the homeowner I can’t believe how many of you are watching and reading about our transformation of our backyard. 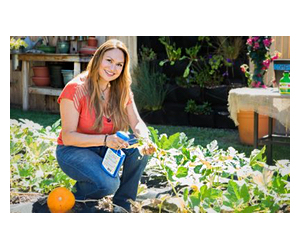 The design process started about two years ago when Shirley brought Southern California Landscaping to us. Javier, Pam, Shirley, my wife Randi and I walked the property. Pam was taking notes about what we would like to see and feel in the backyard. When we purchased the house in 2006, we knew that the exixting landscaping was not our taste. About six after the first meeting, Javier, Pam and Shirley came to us with a prelimary set of drawings. What we saw was a total transformation. We could not believe that this was the same house. Granted it was overboard. After a period of time of adding and subtracting items, we got a working set of plans. It took about six weeks to get the structural, and working plans ready to submit for permits. I got the permit in June, and we started construction July 14. I am a developer of industrial and commercial buildings. I had my framing contractor, Charlie do all of the overhangs. My plumbing contractor, Sketchley & Mason, installed all the new gas lines needed for the firepalce and BBQ. My electrician David from Doneen Electric, installed new underground pipes for the new electrical outlets and outdoor lighting. All of my subs are working together with So Cal Landscaping. Eddy is the foreman on the site and he is working together with my subs. More info to come stay tuned. I’ll be sure and send the Grinbaums one or two. I just did a post for you. I thought of something that the Grinbaums need in their design. Why are you laughing already. You don’t trust me. We might be able to convince the Blue Shirt gang to make another set for the Grinbaums. Hi Phillip! Stay posted for at least one or two updates per week. Hope you are well! Hi Anna, thanks for your comments. I never mind using materials on hand if they work into the new design or can be tweaked to look nicer. The pavers are in good shape but we removed them and will lay them back in a more natural pattern. my clients like informal elegance. I was excited to read about your upcoming t=shirts! This is so classy Shirley. And what comfort to know you don’t mind reusing the pavers. You don’t mind saving for the clients. 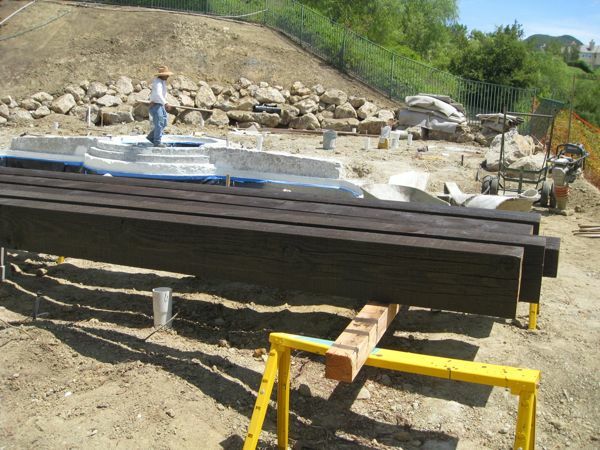 I was impressed too by the quality of material especially the beams and heaviness of it to anchor the project. The soft edges of the patio edge take off the hardness of the large beams and squareness of the pergola. Thanks for sharing—I enjoy the progress. This is obviously going to be soooo good. Thanks for dropping in again Linda! More updates to come. This is a big project and there are lots of spaces involved! Very cool Shirley. I’ll be interested in seeing the progress and completion of this big project.